Luminaria is located inside of the Inn at Loretto, near the Chapel end of the property. With Luminaria, there isn’t much not to like. The whitewashed floors, cornflower blue walls and great alcove-style banquettes, make it a great place to hang out, even beyond just your meal. We’ve dined here for both breakfast and dinner and the service each time has been friendly and quick. We noticed a few reviews on other websites that the service was not up to par, but on both our visits and separate times and different parts of the year, were just fine. The menu here changes with the seasons and has some very unique items and combinations. There’s usually always a special of the day and it usually focuses on some unique type of meat dish. On one evening when we were here, it was antelope steak. Luckily, the menu has a wide variety of things for just about anyone, including vegetarian selections. Our favorites here are the Pollo Real, the steak and the salmon. For appetizers, just about any salad with the blue corn croutons or the polenta fries. The tortilla soup is good, but it’s a broth based soup vs cream based, so for some, that may not fit the bill. Desserts were okay, but not nearly as amazing as the entrees. Breakfast here is amazing as well. We love the blue corn pancakes with piñon syrup, pumpkin waffles (when in season) and the house made donuts. Luminaria has a great wine list with a large feature on wines that reduce the impact on the environment. 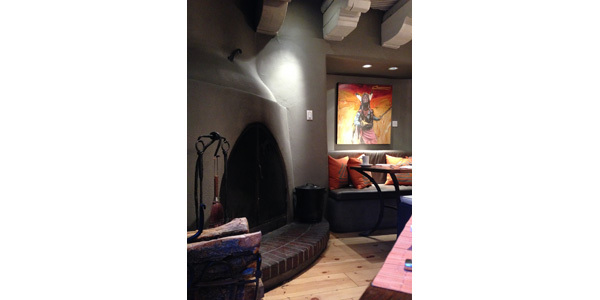 Is the drinks here are what sets it apart from other restaurants in Santa Fe. Drinks are more than ample sized for the price (and they don’t skim on the alcohol either). Our favorite was the organic silver coin margarita. As margaritas go, it’s amazing. For a great relaxed meal with some of the best food in Santa Fe, you can’t beat Luminaria. You’ll want to stay long after your meal is done.